Draya Michele for VOGUE Brasil and Possible return to TV! Coca-Cola and McDonald’s recently announced a first of its kind collaboration: the Rise Up ESSENCE® Festival program. 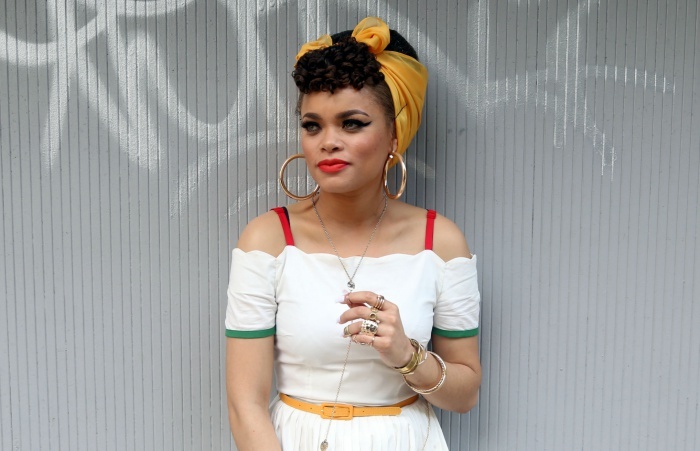 The program, set to launch today, features Grammy nominated artist Andra Day and the lyrics of her single, “Rise Up” and the film ‘I Rise,’ on close to 40 million Coca­-Cola cups in select McDonald’s restaurants across the nation. Today all the entities have announced they have partnered with Shazam to feature new visual recognition technology for content distribution. This is an extension of the highly anticipated national “Share A Coke and a Song” program that will include music lyrics on the packaging of Coca­-Cola®, Diet Coke®, Coke Zero™ and Coca­-Cola Life® beverages, which will be available in the stores. McDonald’s, Coca­-Cola, and ESSENCE® Festival have partnered with the app, Shazam to feature new visual­-recognition technology for content distribution. Each cup becomes a portal to an exclusive digital experience where music enthusiasts can scan the specially marked Coca-­Cola cups and watch the short film, “I Rise” featuring music by Andra Day. The Rise Up ESSENCE® Fest program offers people the chance to win prizes and view exclusive digital content that focuses on perseverance, community and achievement from Andra Day and others. Coca-­Cola cups at participating McDonald’s restaurants will exclusively feature Andra’s image and lyrics of her song “Rise Up.” When music fans and McDonald’s customers purchase Coca­-Cola fountain products at McDonald’s restaurants, they will learn how to enter the Coca-­Cola Rise Up ESSENCE® Fest Sweepstakes* for a chance to see Andra Day perform at the 2016 ESSENCE® Festival in New Orleans, June 30­-July 3. To celebrate the launch of this event, Day will join the press and her fans at the McDonald’s in Times Square on 220 West 42nd St in New York City. Today at 3:30pm, fans and media will get a first look at the Coke cups with Andra’s face and lyrics. The event will be hosted by WBLS radio personality Shaila Scott from “Middays with Shaila”. Fans will be greeted by Brooklyn United Marching Band and dancers. Day will be available for questions from the press. The ESSENCE® Festival creates special moments for women to focus on themselves, rejuvenate, and connect with others. The inspirational message of Day’s “Rise Up” directly correlates with the excitement that McDonald’s and Coca-Cola want for their customers leading up to the ESSENCE® Festival. During the festival, attendees will experience exclusive daily performances, celebrity appearances and prize giveaways, brought to you by Coca­-Cola and McDonald’s. The short film, “I Rise”, focuses on African­-American women sharing the incredible strides they are making in their communities. “Through this film, we want to showcase the remarkable contributions Black women are giving to the betterment of their communities. That is #blackgirlmagic and I’m happy Coca­-Cola and McDonald’s want to be a part of our story,” stated the film’s director, Yoruba Richen of Promise Land Film. Those featured in the film are Andra Day, Brandice Daniel, LaToya Cantrell, Kyemah McEntyre, Nzingha Prescod, Bene Vera, Kimberly Goldson, Kathryn Finney, and Michaela Angela Davis. The program’s short film is anticipated to generate hundreds of thousands of views. Later today, Day will also join ESSENCE® Magazine’s Entertainment Editor, Cori Murray and filmmaker, Yoruba Richen for a private screening of the short film “I Rise.” Coca­-Cola and McDonald’s want to give press an opportunity to watch the short film the same day it will appear on the McDonald’s cups. ©2017 Raintreepublications.com. All Rights Reserved.